When designer clothing boutique Intoto closed in 2010 after 21 years of business, Twin Cities fashion fans lamented its loss—and wondered what would happen to its former home. 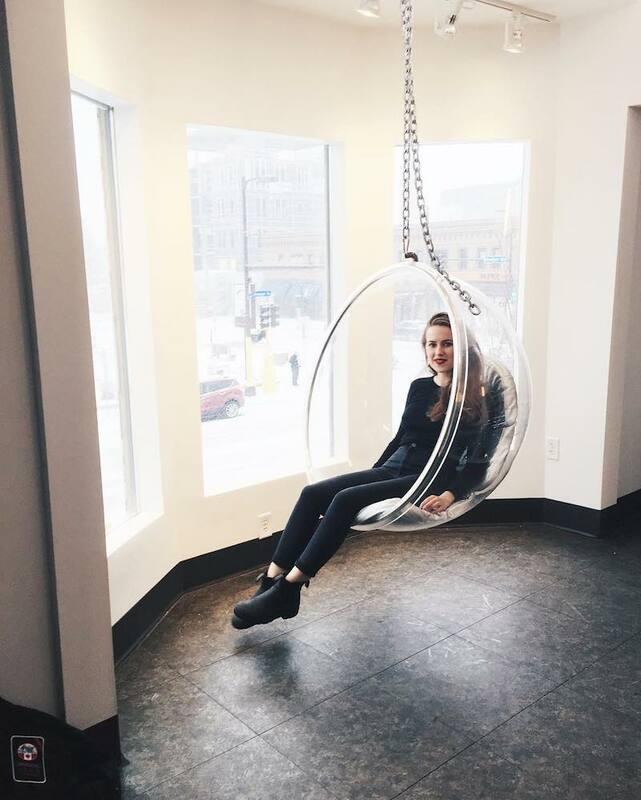 Although lifestyle boutique Motto briefly revived the storefront on the corner of 31st Street and Hennepin Avenue South, it’s sat empty for more than two years. But thanks to Juut Salonspa, the spirit of Intoto lives on. Juut owner David Wagner purchased the building for a new Juut training salon, which quietly opened in January. 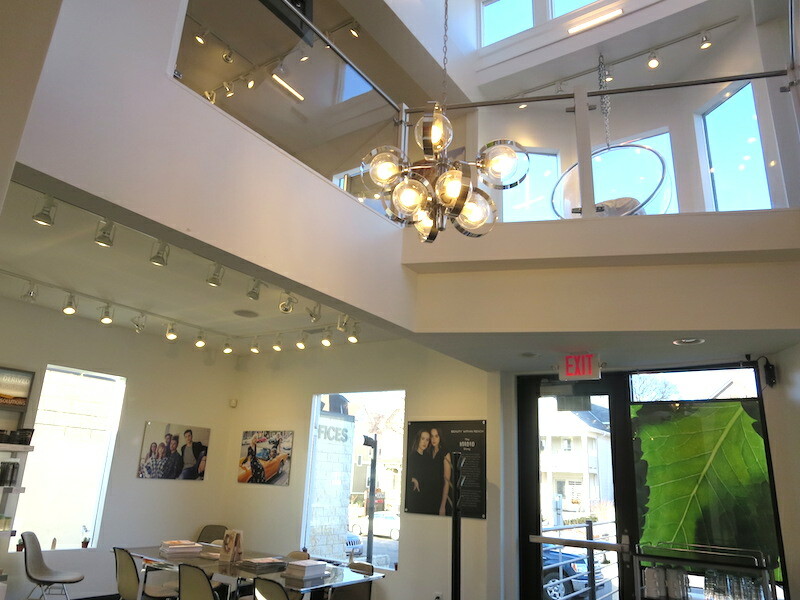 Named Intoto Salon by Juut in tribute to its former tenant, Wagner has lovingly renovated the three-level space, maintaining its airy and bright quality as well as its unusual floor plan. Amidst the styling stations, shampoo bowls, large windows, skylights, glass railings, and retail area stocked with Aveda products, Wagner incorporated 1960s office chairs, a mid-century chandelier, bright orange accent walls, and a hanging Eeron Aarnio bubble chair, sourced from Minneapolis vintage shop FindFurnish. 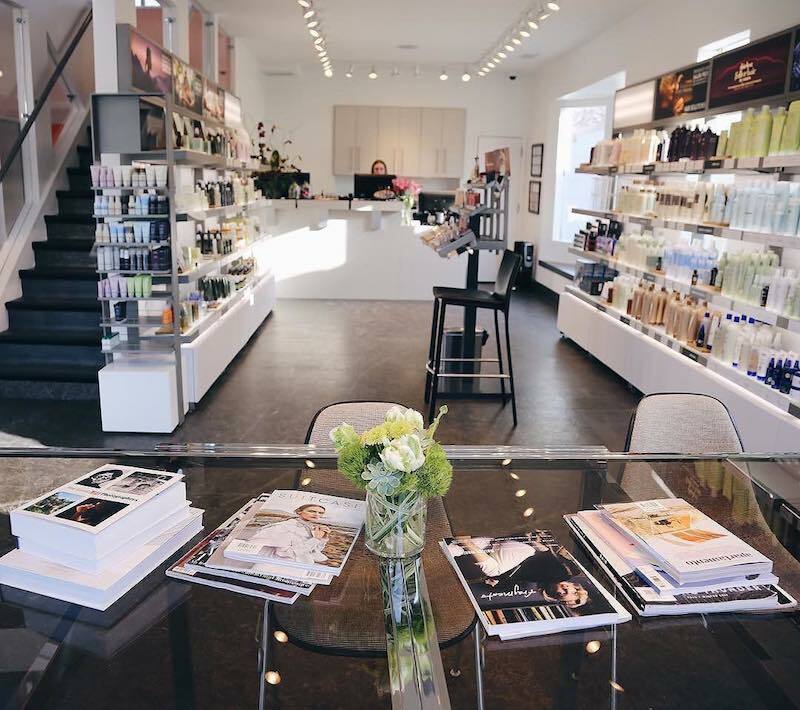 The walls are filled with art and photography created by Wagner’s daughters, Ava and Coco, which is geared toward the salon’s largely millenial customer base. “They really had a huge influence in terms of how the space looks in terms of the direction and aesthetic,” says Jenn Pardue, Recruitment and Education Manager at Intoto by Juut. Although most clients at the training salon are 16- to 26-year-old women, “we have a very diverse clientele—all ages, all demographics,” says Pardue. 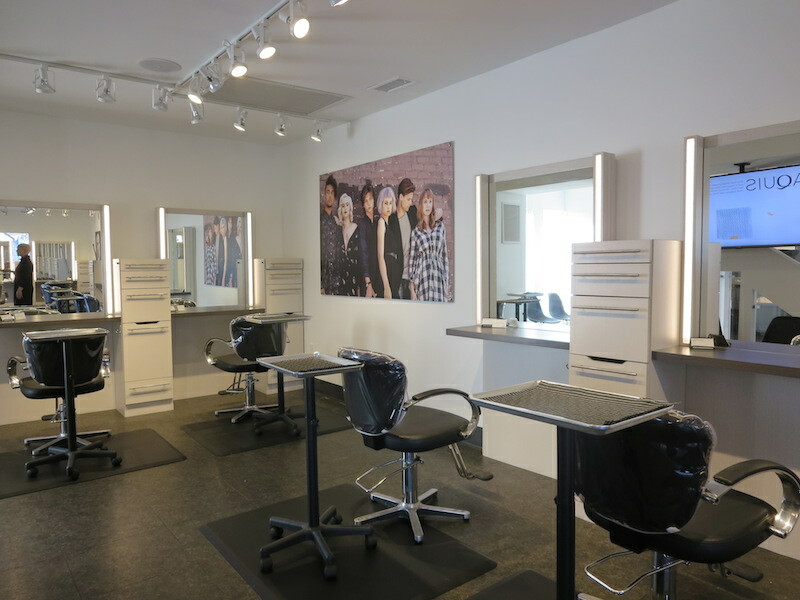 The training academy, which previously called Juut’s Uptown salon home, recruits and trains a hand-selected group of talented young stylists to staff at Juut’s seven Minnesota locations. “We still offer high-end service Juut is known for, but at an more affordable price point,” says Pardue. Blowouts are $25 to $30, cuts are $30, and color ranges from $45 to $100—a good deal, considering these one-day Master Stylists could eventually be charging as much as $150 a cut.